A few weeks ago, when the newly-named Bishop Jim Checchio got a personal moment to thank the Pope for his appointment, Francis asked for his pick's ordination date and kept repeating it to himself "so I can remember to pray for you then." So it seems, the Man in White didn't just recall the date, but he must've somehow gotten wind of the motto Checchio chose – at the monthly General Audience for Jubilee pilgrims on Saturday, Francis focused his talk on the same four words: St Paul's exhortation to "Be reconciled to God." 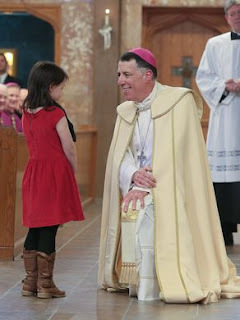 As the beginnings of an episcopal ministry go, it's all been rather auspicious... then again, for the rector who led the Pontifical North American College through an extraordinary decade of growth and vitality, it was always bound to be. 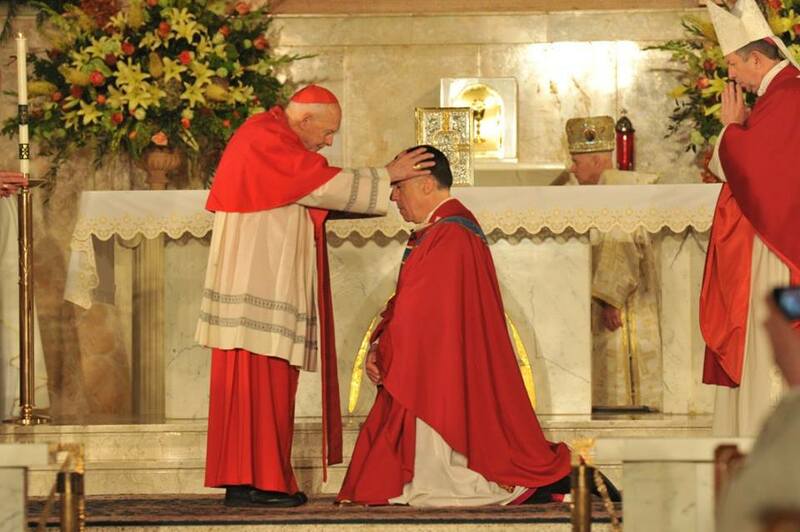 On a historic note, as this summer marks 15 years since the last time a NAC rector was returned home to receive the hat, it's worth highlighting that said figure – now the Cardinal-Archbishop of New York – was duly present for today's rites, seated alongside his predecessor atop The Hill, now the Cardinal-Grand Master of the Equestrian Order of the Holy Sepulcher. In other words, wherever the road may lead from here, this isn't where the story ends. Along those lines, part of today's drama will have to wait – but not too long – as a certain piece of it begins to unfold in full over the weeks and months ahead.